Day 10: Oh My Aching Quads! I am paying the price for missing the RT yesterday. Despite the fact that I was exhausted and completely unmotivated, I made it out for a walk/run today. It was really rough. 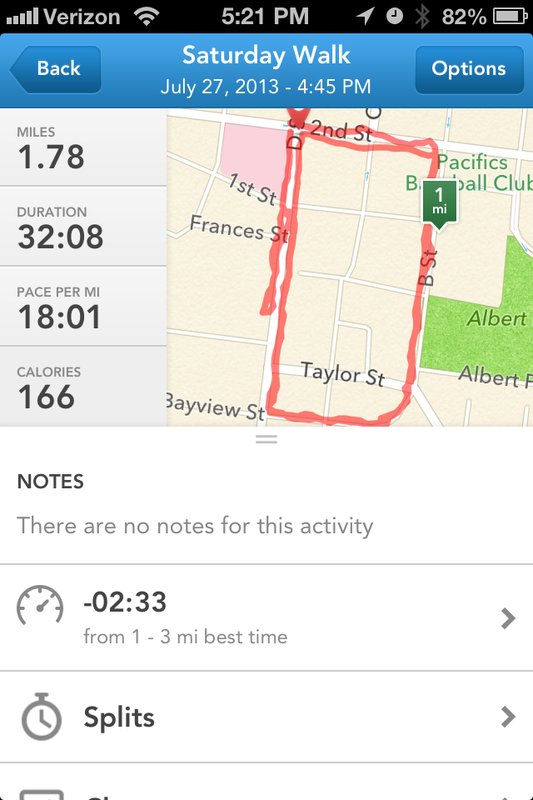 Terrible pace, hard to start running every four minutes, and even harder to keep running for two minutes. But, I did it. By the end of the 30 minutes, my quads were killing me, and I could barely make it up the stairs. I’m glad that I made it out today, but ugh, I sure feel like poop!